Home » Chelsea , Chelsea FC , doctor , Eva Carneiro , Real Madrid » Who is Eva Carneiro? Some of you may be wondering, who is Eva Carneiro? Did you ever find yourself watching a Chelsea Fc game and wondering who the gorgeous doctor is? 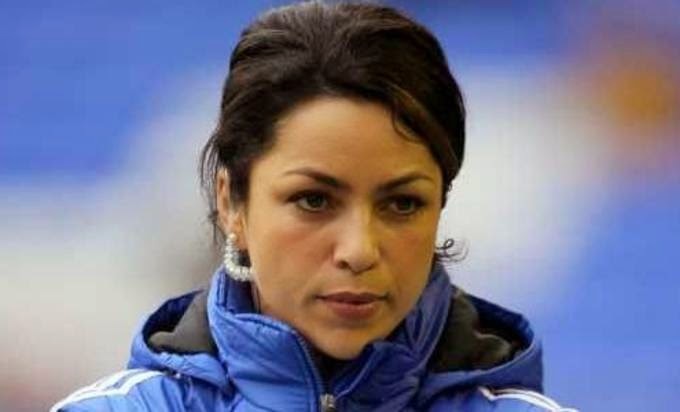 Guess no more, her name is Eva Carneiro and we will be taking a look at the hottest woman behind a football bench. Doctor Eva Carneiro is from Gibraltar. Her background is Spanish and English and before she joined Chelsea, she worked at the British Olympic Medical Institute and with England women national football team. She specializes in sports injuries. She joined Chelsea in 2009 but first worked with the reserve team, only moving to the main squad during the 2011-12 season. To me, that was Chelsea’s best acquisition that offseason. Worth her money in gold, if you ask me. The one legacy piece that we can credit Andre Vilas Boas with is having her move to the main squad. Her love of the game came when she was travelling in Mexico. She later watched a match between Mexico and Brazil during the 1998 France World Cup and was hooked. Growing up she always enjoyed playing soccer, but struggled with injuries. That made her think that there was more to it, than rest and treatment. Those early setbacks are exactly what drove her to take on sports medicine as a career. She currently works for Chelsea but her favorite team is Real Madrid, one has to wonder if she would like to work on guys like Ramos, Ronaldo and Bale when their muscles are ailing. I know I would love to have her work on my sore muscles. Her other passion is surf; she picked up the passion for the sport when she lived in Australia. Most fans are amazed with her beauty and she is indeed a beautiful woman that happens to work in a man dominated field, which can’t be easy for her, but for us fans it is something to admire. I just find myself hoping that someone goes down during a Chelsea match so she can make an appearance.